Property developers have always faced issues with getting multiple people to sell. 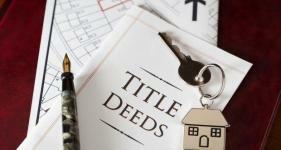 However, a new trend among sellers may make things a lot easier while providing plenty of benefits to property owners. Traditional property development comes with a lot of obstacles. For example, imagine that a developer identifies a hotspot. They need to purchase a chunk of land on that hotspot. However, the land they need already has properties built on it. The developer then has to try to convince each individual homeowner to sell. This is a long and rigorous process that involves trying to manage multiple transactions at once. Plus, it can all end in frustration. One stubborn property owner may refuse to sell. That could cause the entire development plan to go up in tatters. Unfortunately, there hasn’t previously been a ready solution to this problem. Developers just had to put the hours in to buy the site. However, a new trend looks to change things. In recent years, this trend has made it easier than ever before for developers to buy large lots in desirable areas. Property owners are actually teaming up to sell mega lots. The practice offers a lot of advantages to developers and sellers. But before getting to that, let’s look at the story of a group of sellers who’ve used this idea to their advantage. It all started when one property owner noticed changes in Baulkham Hills. Ann Papas says that she’d seen the area change extensively since she’d moved there many years before. Several property developments had already changed it beyond recognition. The introduction of medium-density zoning added to that. Plus, it seemed likely that high-density zoning wasn’t too far behind. The creation of a new walkway helped her to make the decision. Initially, she planned to sell alongside her daughter and son-in-law. They own the block next to Ann’s, which she believed might make for a good development opportunity. Then, mother and daughter started thinking. If they wanted to sell because of the changes in the area, others may feel the same. The family started approaching their neighbours to find out if they had any interest in teaming up to sell. They got a surprisingly positive response. A fellow neighbour named Matthew sums up the general sentiment in the area. He felt similarly to Ann and her daughter. In fact, he already had plans to put his property on the market before the duo approached him. When they presented the opportunity, he jumped at it. With a lot of hard work, the group kept growing in size. All told, they’ve collected 26 members, all of whom hope to work together to attract the attention of developers. The group believes that a developer will be able to use their mega lot to build apartment complexes. The size of the lot, coupled with its positioning, make it perfect for such a development. However, it’s the increase in earnings from the sale that’s the real benefit for the members of the group. 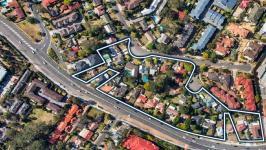 Individual properties in the Baulkham Hills region achieve an average sale price of $1.15 million. Collectively, this group of 26 sellers hope to earn $60 million for their mega lot. That amounts to about $2.3 million each, or a $1.15 million increase on the median property value for the area. That means that the members of the collective stand to make about double than if they sold on their own. However, there are a few roadblocks that the group may have to overcome before achieving their sale. For one, there are two property owners that the group has yet to convince, at the time of writing. Getting them on board could bump up the total sale value for the lot. But if they hold out, it could cause problems. The mega lot may become less desirable as a development opportunity. After all, developers would have to do their work around the two property owners that didn’t sell up. There are some other potential development issues to consider. A developer would have to apply to get the land rezoned if they intend to build an apartment block. Furthermore, the lot currently has a 9-metre height limit attached to it. That needs to get lifted if a developer is to use the lot for the purpose the sellers intend. That means a lot of paperwork on the part of the developers. And if the local government doesn’t give approval, most developers would pull the plug on a potential deal. The need for these permissions also adds time to the process. It’s unlikely that the sellers will sell the mega lot within 12 months. Some believe that it may take as long as 24 months. That means patience will have to become a virtue for the group. Plus, it creates a lot of time for members to fall out or disagree on strategy. Happily, that’s one problem that the sellers anticipated well ahead of time. As Ann puts it: “We’re all pretty realistic that this process isn’t a short one.” As long as each member of the group understands this, there’s less likelihood of somebody pulling out to sell on their own. The group have also employed the services of Colliers International to help them with the sale. Tom Appleby, who’s managing the campaign on behalf of Colliers, remains optimistic about the lot’s chances. He points out that he expects the lot to generate interest both from domestic and international investors. Furthermore, he believes that cooling market conditions in 2018 won’t have a huge effect on the offering. Finally, he notes that this isn’t the only mega lot that he’s working on. In fact, he has 20 similar lots under consideration. That means there’s a clear trend towards this selling technique. But what are the reasons behind the trend? They’re many and varied. Moreover, mega lots offer potential benefits to sellers and developers. Here are four reasons why mega lots have become popular. As noted above, the Baulkham Hills residents stand to make double the amount of money from the mega lot than they would from selling alone. This is a trend that’s common in all mega lot stories. The idea is that the value a future development offers exceeds the value of the properties already on the land. 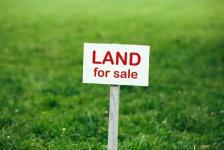 As a result, a developer will offer more money for the land than a residential buyer would offer for a property. Of course, that’s appealing to sellers. They stand to earn a lot more money from the sale, even if they have to wait longer to get it. Those whose properties fall below the median value of the area can also benefit from joining a mega lot. The desirability of their land makes up for the low value attached to their property. As a result, they benefit even more than sellers whose properties have a value that’s similar to the location’s median. The key is that each individual understands the time it takes to negotiate such a complex transaction. As you can see from the Baulkham Hills example, there may be a lot of paperwork involved. That extends beyond the transaction itself. A developer needs to ensure they can actually carry out the work they want to do before buying. In many cases, that means researching regulatory requirements and applying for permits. Still, it’s very unlikely that any individual home will double in value within the time this takes. That makes selling as part of a mega lot attractive, even when factoring the time considerations in. Developers had a tough job before the mega lot concept gained popularity. Prior to this, a developer would have to identify a location that offers potential. Often, the lot they wanted would have properties built on it. That meant they’d have to negotiate with each property owner to convince them to sell. Then, they’d have to continue with multiple negotiations at once to get the right prices. That’s a lot of separate negotiations. Messing up just one of them could ruin their plans. This new wave of mega lots changes all of that. Now, developers have groups of sellers coming to them. That cuts down on a lot of the legwork a developer would have had to do to get people on board with selling. Plus, they’re dealing with a collective when negotiating. Typically, the group will have a lead representative who talks on behalf of the group. Imagine the difference that makes in the Baulkham Hills scenario. Instead of conducting 26 negotiations, the developer only has to conduct one. That means they can place more of their focus onto the transaction. Plus, there’s less chance of oversights that could thwart the deal. Australia’s property market has cooled throughout 2018. That’s not a surprise to many analysts. Some have predicted the bursting of a bubble for a number of years now. While the situation isn’t that extreme, there’s certainly been a downward trend since 2015. In 2015, property prices grew by 9.2%. That fell to 5.8% growth in 2016 and 4.2% growth in 2017. In 2018, it appears that there’ll be price decreases of about 2%. Several factors play into this. 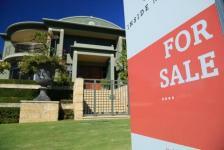 The contrast between house prices and affordability plays a role. So too does the Australian Prudential Regulation Authority (APRA). They’ve put regulations in place over the last few years to achieve this very effect. This cooling means 2018 may not be the best year to sell a property as an individual. But mega lots offer a solution. Remember that these groups sell to developers, rather than residential buyers. They’re selling to people who have a future focus on improving value through development. You can see the effects this has had for the Baulkham Hills group. The doubling of value of their properties as part of the lot counter any market cooling that would cost them money. Again, you can look at the Baulkham Hills story to see how this applies. Ann and her fellow residents saw the effects new zoning rules had on their location. In their case, they want to move away because they don’t like the effects. Instead of selling individually, creating a mega lot allows them to benefit from a bad situation. They can take advantage of the new zoning regulations to make more money from the sale. This also gives them more money to work with when trying to find homes in desirable locations. Of course, new zoning regulations open up opportunities to developers too. The popularisation of mega lots makes it easier for them to take advantage of new zoning as well. It’s becoming increasingly apparent that selling as part of a mega lot isn’t a short-term trend. As Tom Appleby points out, many sellers now see it as the best option for getting the most out of their property sales. Selling as part of a mega lot allows you to respond to a cooling market. It generally means that you get more money for your property than if you sold on your own. Plus, it means you can leverage the power of the collective when negotiating with developers. These benefits outweigh the time it takes to sell a mega lot. Developers benefit too. Buying a mega lot simplifies several stages of the transaction. They don’t have to locate blocks because sellers tend to come to them. Plus, they’re only handling one negotiation at a time rather than dozens. Having said all of that, developers do have other considerations to keep in mind. They need to ensure their proposed developments meet local regulations. Plus, they still need to conceptualise and plan the development. That’s where Archistar Property can help. This world-first platform helps developers to identify opportunities and create building concepts. It also uses up-to-date data to provide developers with all of the information they need about a location. To learn more about the platform, get in touch with the Archistar team today. If you would like to share your thoughts on our blog, we’d love to hear from you! Get in touch with the ArchiStar Academy community via Facebook. An ArchiStar membership gives you unlimited instant access to all our online courses for Architects, Engineers and Construction firms. ArchiStar subscription is FREE, get started now.